New York, NY � December 17, 2013 � ID Security Online, a leading provider of ID card printers and photo ID systems, announced today that the latest ID card printers from HID Fargo � respectively the C50, DTC1250e, DTC4250e and DTC4500e � are now available for purchase at IDSecurityOnline.com. HID Fargo, a leader in ID card printing solutions, has just released four new ID card printers with the C50, DTC1250e, DTC4250e and DTC4500e models. New York, NY � November 5, 2013 � ID Security Online, a leading provider of ID card printers and photo ID systems, announced today a total donation of $5,000 to the winning schools of its Back-to-school sweepstakes. New York, NY � October 15, 2013 � ID Security Online, a leading provider of ID card printers and photo ID systems, is now an Elite Merchant on ResellerRatings, a primary consumer reviews website. ID Security Online has become a major retailer of ID card solutions by providing superior customer service and support. Today, ResellerRatings recognizes ID Security Online�s excellence in customer satisfaction by awarding it the Elite Merchant status. To earn the ResellerRatings Elite Merchant distinction, online retailers must hold a Merchant Membership and meet stringent ratings standards � a minimum 8.00 lifetime customer review rating over 50 reviews or a minimum 8.00 customer review rating for 25 reviews in the past six months. As of today, ID Security Online has been reviewed 31 times for a perfect 10 rating. New York, NY � October 7, 2013 � ID Security Online, a leading provider of ID card printers and photo ID systems, announced today that 1% of its Photo ID Systems� sales in October will go to the Susan G. Komen for the Cure� foundation. October is Breast Cancer Awareness Month and this year, ID Security Online is proud to support the efforts of the Susan G. Komen for the Cure� against breast cancer. This foundation plays a major role in breast cancer research and develops nationwide programs to promote early detection and effective treatment. New York, NY � September 10, 2013 � ID Security Online, a leading provider of ID card printers and photo ID systems, has launched its first design competition inviting students nationwide to submit a unique photo ID badge. ID Security Online introduces its first Graphic Design Awards Contest. From Monday, September 9 to Friday, December 6, 2013, undergraduate and graduate college and university students in the United States are solicited to design an original photo ID badge. The winning entry will become a card template in CardPresso ID card software. 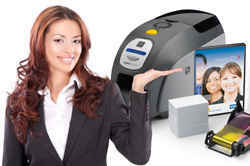 New York, NY � July 23, 2013 � ID Security Online, a leading retailer of ID card solutions, now offers special pricing to small businesses to help them print their own IDs and keep their employees and customers safe and secure. Small businesses are a continuing source of dynamism for the American economy but the economic downturn has made them more vulnerable than other structures. Investing in ID solutions gets harder although keeping employees and customers safe is a clear priority for all. As a small business, ID Security Online understands these challenges and is committed to helping small businesses get the ID card system that they need. With the right solution, small businesses can design and print employee badges, visitor IDs, or access control badges on a budget. New York, NY � June 25, 2013 � ID Security Online, a leading provider of ID card printers and photo ID systems, announced today the introduction of the first Mac-compatible ID card systems with ID card software. Mac users can finally design and print high-quality ID cards and badges with their own ID card system. ID Security Online, a leading retailer of ID card solutions, has just launched the first Mac-compatible ID bundles to create all types of ID cards such as employee badges, student IDs, membership cards and more. 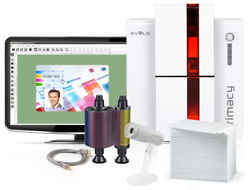 Each Mac-compatible ID card system includes a single or dual-sided Evolis Primacy ID card printer, CardPresso ID card software, a credential camera, a color ribbon, blank PVC cards, and all drivers and cables. 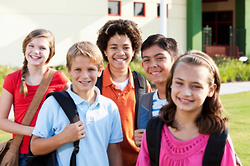 New York, NY � June 11, 2013 � ID Security Online, a leading provider of ID card printers and photo ID systems, announced today the launch of a nationwide Back-to-school sweepstakes to donate a total of $5,000 to schools. Over the years, ID Security Online has been serving schools all over the country with a clear objective: help educational institutions of all sizes keep students, staff and visitors safe through secure ID badges. Today, ID Security Online reinforces its commitment to schools in the United States by launching its first ever Back-to-school sweepstakes. 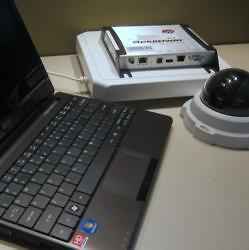 IDSecurityOnline.com, a leading provider of ID solutions, announced today a partnership with SimplyRFID, a premier source of RFID systems, to provide a comprehensive asset tracking and surveillance package, the Nox Sting Kit. Radio Frequency Identification � most commonly known as RFID � has been widely adopted by the supply chain industry for asset tracking and inventory control. Today, RFID is quickly becoming a go-to technology in the security, surveillance, and evidence fields. IDSecurityOnline.com has partnered with SimplyRFID to offer a full line of RFID solutions now available at /rfid. This offer includes the unique and innovative Nox Sting Kit. An all-in-one, fully integrated system, the Nox Sting Kit is a unique Plug-and-Play RFID and video surveillance solution that reveals on a facility map the movements of people and assets in real time. 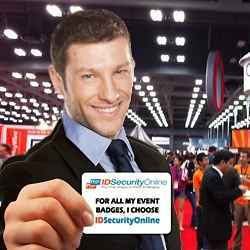 New York, NY � March 13, 2013 � IDSecurityOnline.com, a leading provider of ID solutions, offers comprehensive ID card solutions to issue event badges on demand. Organizing and managing a successful event is demanding and can quickly become overwhelming, especially when it comes to identifying staff and attendees. The challenge is complex: issuing ID cards on the spot and at a steady pace to reduce lines at the registration desk, control access to the venue and ensure a smooth flow of visitors. The solution lies in choosing the right ID card system... and the right ID partner! 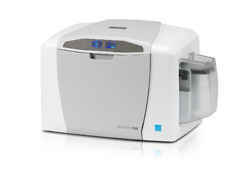 IDSecurityOnline.com, a leading provider of ID solutions, offers an extensive line of card printers, ID systems, supplies and accessories, to answer the needs of every type of event, regardless of its size or location.